This Brooklyn-based social enterprise, owned by a mother-daughter duo with deep ties to Ghana, is dedicated to bringing the world all-natural, premium shea products. Eu'Genia Shea crafts organic and natural essentials for a healthy and beautiful life. 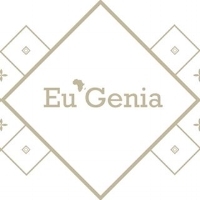 When Naa-Sakle Akuete's mother, Eugenia, was diagnosed with cancer, Naa-Sakle decided life was too short to not spend their days together — so she founded Eu'Genia Shea with her mother's help in 2014. The duo drew from Eugenia's past experience as the president of the Global Shea Alliance to provide consumers with the best shea around, using at least 80% raw, unrefined shea in all of their products (most shea products on the market actually contain only 5 to 10% shea butter). With the help of hundreds of sustainably paid farmers, Eugenia has continued to grow her bulk shea butter business, Naasakle, and become an acclaimed expert in the space. Eu'Genia Shea products use Naasakle shea butter to bring that premium product direct to consumers in a way that benefits planet and people. Eu’Genia Shea is a family-run social enterprise that works with over 1,500 registered shea pickers in Ghana — women to whom Eu'Genia Shea provides organic training and financial literacy education. Eu'Genia Shea pays their workers at a 20% premium to the market rate, helping create a healthier market for the women involved, and 15% of Eu'Genia Shea's profits go back to their workers in the form of an education fund for their children. All shea nuts used for Eu'Genia Shea's shea butter are harvested from shea trees grown on community-owned land, without the use of pesticides or fertilizers. Through community projects, Eu'Genia Shea encourages the growth of park lands and distributes shea seedlings to the communities in which they work.